The Children’s Environmental Health Center of the Hudson Valley is affiliated with New York Medical College, and collaborates closely with physicians from Maria Fareri Children’s Hospital at Westchester Medical Center and Boston Children’s Health Physicians. This center has three primary goals: consultations for children who may have been exposed to environmental toxins, educational programs about environmental toxins and pollutants, and conducting research to better understand the role of the environment in children’s health. The Hudson Valley CEHC is dedicated to combatting environmental health hazard exposures in low-income and at-risk populations in the Hudson Valley region, doing so with programs, screenings, and initiatives in collaboration with the Westchester Community Opportunity Program, the Hudson Valley Asthma Coalition/ALA of the Northeast, and the American Lung Association. Additionally, a big topic of concern at this center is food safety and healthy nutrition. Brochures and consultations are available for the community in order to help with healthy food diets for children and food safety information for information. Contact us for information concerning environmental exposures in children and in women who are pregnant, breast feeding, or considering pregnancy. Experienced health care providers will provide you with the knowledge and counsel you seek. You can also use the form at the bottom of this page. The Children&#39;s Environmental Health Center of the Hudson Valley boasts a multidisciplinary team, including physicians, nurses, social workers, epidemiologists, statisticians, researchers, and experts in environmental health, all dedicated to protecting children against environmental threats. 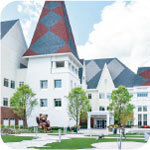 The Children’s Environmental Health Center of the Hudson Valley is a collaboration of the physicians at Maria Fareri Children’s Hospital at Westchester Medical Center, and its affiliated medical university, New York Medical College, including its School of Health Sciences & Practice. We provide comprehensive environmental health (EH) screening for all new patients seen in our outpatient offices. We have eight outreach offices throughout the Hudson Valley all of which provide these services. In addition, we provide environmental health screening services for any hospitalized patient admitted to the pediatric pulmonology service and are expanding our screening and consultative EH services in the inpatient setting at Maria Ferrari Children’s Hospital. Our screening has been adapted from a validated environmental screen from the American Academy of Pediatrics (AAP) which identifies common triggers for respiratory diseases and other adverse environmental exposures that can impact children’s health. community partners and together we provide education to the families in the region.